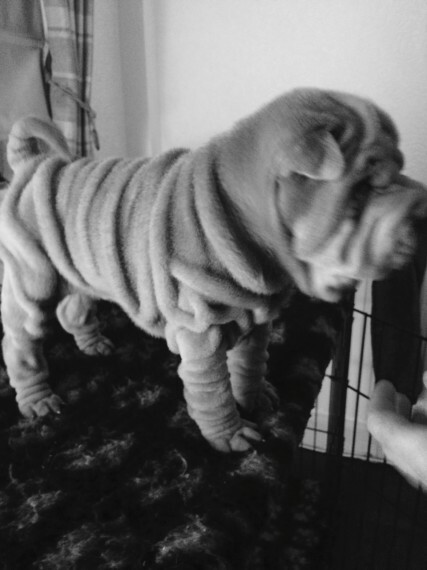 Only one stunning lilac dog left out of a beautiful litter of brush coat Shar Pei puppies, chunky with lots of wrinkles. Both parents can be seen as they are our family pets, Mum is a lilac brush coat and Dad is an apricot brush coat. All pups are KC registered and come with 5 weeks free insurance, wormed, microchipped, vet checked and eyes tacked by Shar Pei specialist, Sean Cleary, if necessary. Pups will be ready to go to their new forever homes 14th March when they are 8 weeks old.